From January through September, auto plants established in Mexico have built 2,829,761 vehicles, a 9.8% raise. Last month, Mexico’s automotive industry built 307,174 cars and light trucks, a 7.7% increase compared to the 285,344 units assembled in the ninth month of 2016 and the highest figure for a month of September ever, according to data from the Mexican Automotive Industry Association (AMIA). 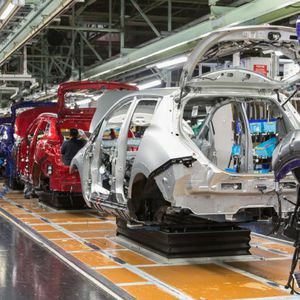 From January through September, auto plants established in Mexico have built 2,829,761 vehicles, a 9.8% raise compared to the first nine months of 2016, the AMIA added. Exports also reached new heights, during September 270,899 units were shipped to foreign markets, that’s 15% more than those exported in the same month of 2016. For the first nine months of 2017 exports totaled 2,287,896 vehicles, for an increase of 11.5% compared to the 2,051,178 units from the same period last year. In September 207,375 vehicles were shipped to the U.S. market, a 76.6% share, while 19,639 were placed in Canada and a similar number to Latin America, meaning a 7.2% of total exports each. During the first nine months of 2017 the United States was the main destination for Mexican auto exports with a 76.1% of total, followed far behind by Canada with an 8.7% share, and Germany with 2.9%. According to Ward’s Auto, 13.7% of the vehicles sold in the U.S. market during September were of Mexican origin, while a similar figure, 13.6%, results from a January-September basis.